Trapping in an effective, commonly used method of removal for animals like raccoons and rodents, so it’s understandable to think that it would be a great way to remove bats from a home or property as well. Unfortunately, bats require special treatment due to their fragile bodies and protected status in many areas. Preventing bats from becoming an issue through means of exclusion is a preferred method of handling a bat problem by quality animal removal services like Critter Control® of Dallas. Noticing the signs of bat activity early on is key to removing them before an infestation grows out of control and causes damage to your home. A dead giveaway for bats in the home is the presence of their feces, or guano. Easily recognized by its black color and dry, dusty consistency, bat guano is often found in small piles underneath where bats roost at night. 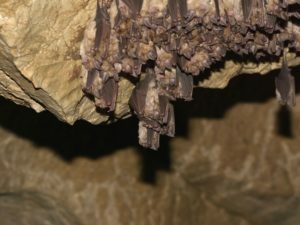 It is also common to see wet areas around entrances and exits to your home, as bats often empty their bladders prior to entering or exiting a building. If left unaddressed, this can lead to ceiling stains and damp areas around roofing soffits. Using trapping as a means of removing bats from a property poses a variety of problems, especially for somebody not trained and experienced in animal removal techniques. Without the proper know-how, it is possible to be bitten and infected with rabies, or it is possible to contract an infectious disease through their guano. Trapping is also dangerous for the bat, as their fine bones are fragile and easily broken. It is also illegal to harm or kill bats during the removal process. The most effective way to prevent a bat infestation is through exclusion, and that is the method used here at Critter Control® of Dallas. We understand the important role these creatures play, and implement only the safest and most effective live exclusion techniques to get bats out of your home efficiently, and prevent them from returning. For any questions, or to schedule a home consultation, call us today at 817-222-1101.